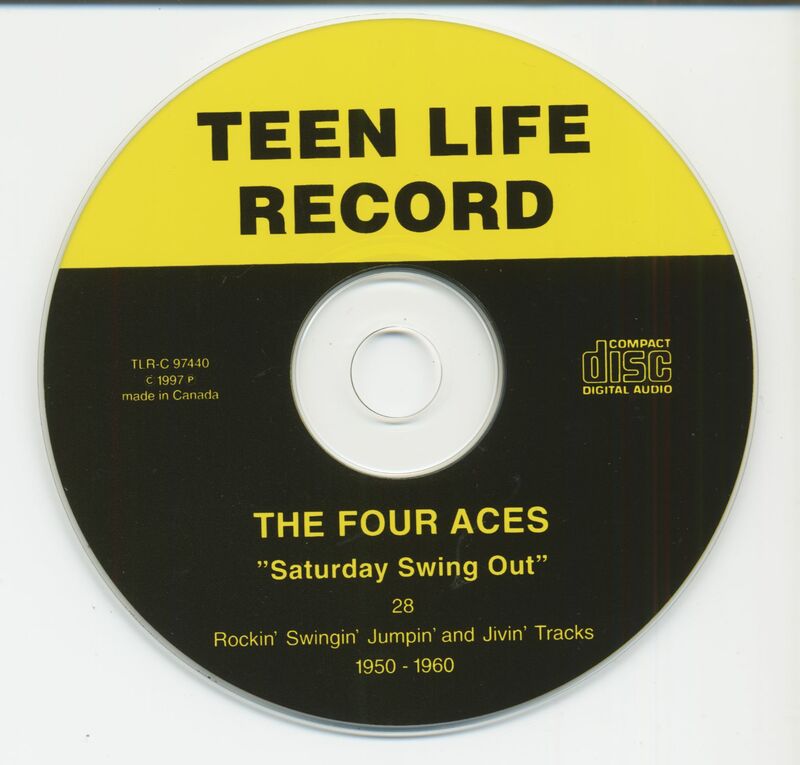 (Teen Life Records) 28 Tracks - Jive, Jive, Jive! Not to be confused with Al Alberts' pop quartet of the same name from Chester, Pennsylvania who became infinitely more popular (at least from a mainstream perspective), these Four Aces made their musical mark first. 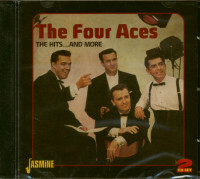 The Original 4 Aces, as they became known after Alberts' crew made such a huge impression from 1951 on, got their start in Fort Worth while still in high school. First tenor James Franks, second tenor Algia Pickett, baritone George Smith, and bass Otha Jackson eventually relocated to San Francisco, and while the war stalled their momentum (three Aces were inducted into the Navy), they reformed after war's end and proceeded to tear up the Bay Area club scene, leading to a deal with Rene La Marre's Trilon label in 1946. Along the way, they became a self-contained unit with Franks picking up the guitar, Smith on piano and Jackson on upright bass. 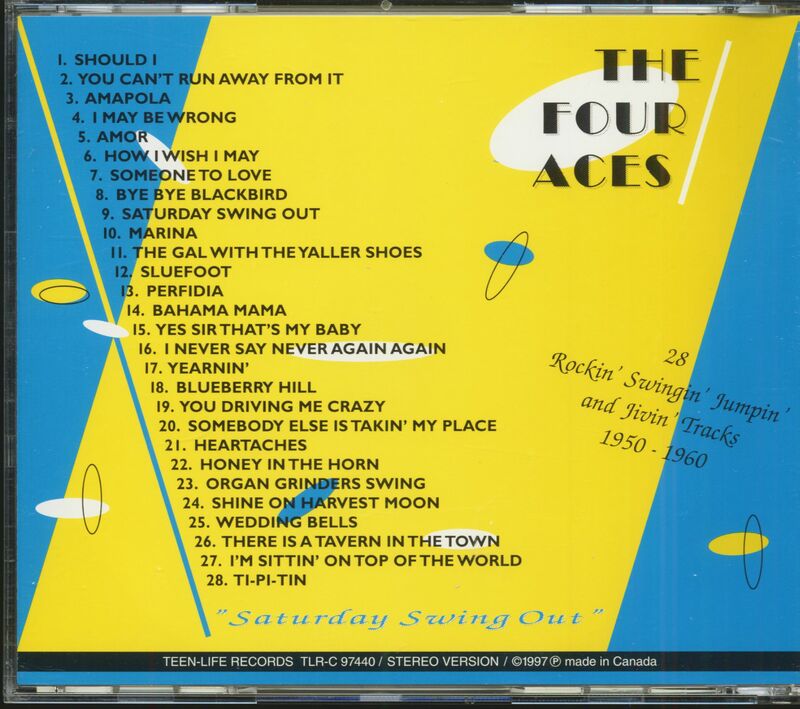 The Aces waxed their biggest seller, the two-part I Wonder, I Wonder, I Wonder (they only sang on Part 2) at their first Trilon session (see our previous volume). The Aces' half dozen Trilon encores didn't make the same local impression, so they moved on to Bill McCall, Jr.'s 4 Star logo. Or at least some of their masters did. 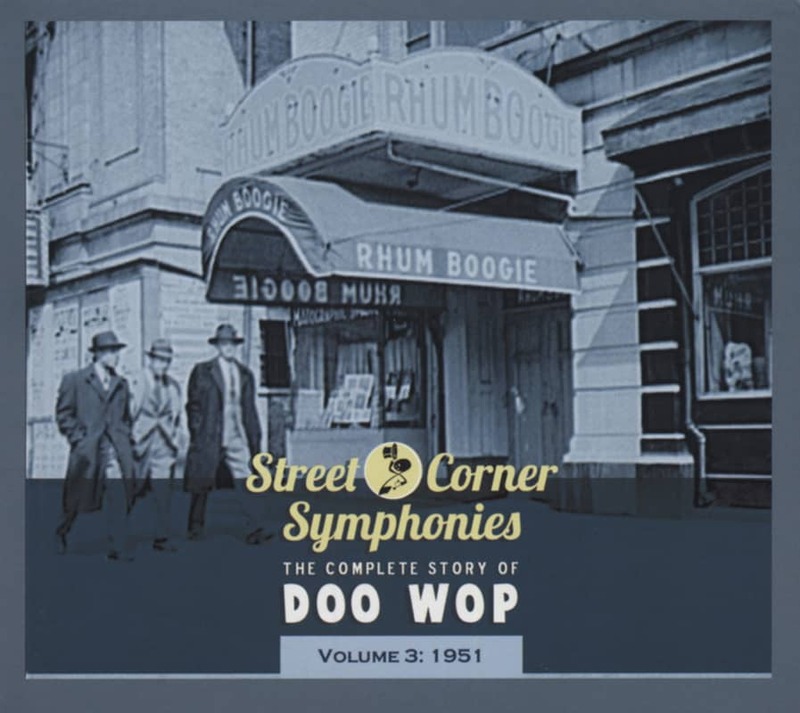 Bob Geddins, one of the Bay Area's top R&B indie producers, reportedly sold 4 Star several Four Aces tracks in 1949, and the company pressed up Lazy Navajo b/w Aces Swing, then Too Late b/w Jumpin' Out, before the year was over. 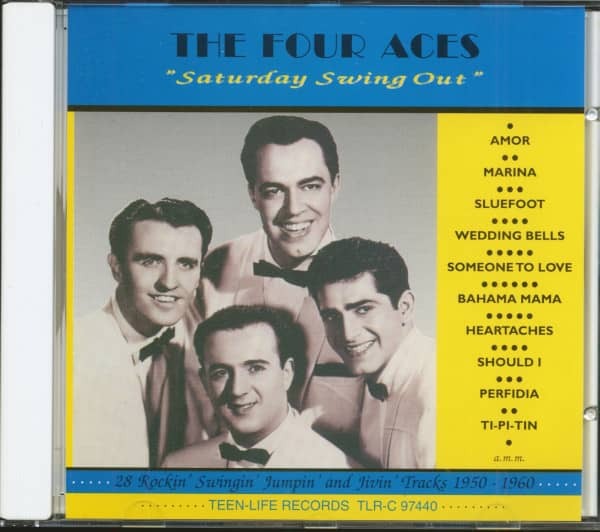 Penned by George Smith and issued in January of '50, the luxurious ballad Who Is There To Blame was half of the Aces' last 4 Star offering. Otha Jackson sang it with suave assurance over Smith's chunky piano chording (he embarks on an aggressive solo halfway through). Yoked to a Pickett-led Because I'm In Love With You, it was the quartet's 4 Star swan song. 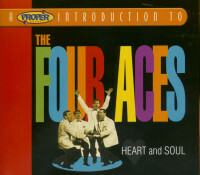 By the time Geddins released their rendition of Eddie Miller's country classic Release Me in 1954 on his Big Town logo, necessity forced Geddins to issue it as by The Original 4 Aces to differentiate it from the East Coast's Four Aces (ditto their last release the next year, I Can See An Angel). Franks left the act in 1957, and by year's end their last hand was played. 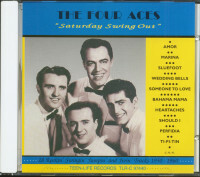 Customer evaluation for "Saturday Swing Out (CD)"